Being involved in a car accident can be a traumatic experience – even if the accident isn’t serious. You may be recovering from injuries, unable to work during your recovery, and your car may be totaled. 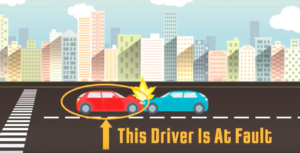 During this time, you expect that the “at fault” driver will pay for the damages they have caused. Colorado requires all drivers to maintain minimum levels of insurance on their vehicles, but many do not. Realizing that the driver who caused the accident is not carrying insurance can be terrifying and stressful. Who will pay for your medical expenses? Who will fix your car? How will I pay my bills if I’m unable to work? How will you put your life back together again? What is UM / UIM? In the state of Colorado, drivers are required to carry auto insurance. Unfortunately, not everyone does or they may carry far too little insurance to adequately cover accident expenses. In 2012, Colorado ranked 9th in the country among states with the highest number of uninsured drivers. An uninsured motorist (UM) is anyone who does not carry auto insurance. An underinsured motorist (UIM) is anyone who carries insufficient auto insurance. Drivers, however, can refuse this coverage if they do so in writing. Unlike liability policies, however, UM/UIM coverage is fairly cheap to obtain. These coverages cannot exceed the amount of your primary liability insurance coverage. If you have uninsured motorist insurance coverage with your insurance policy, you will be able to collect the money you need if the at-fault driver does not have insurance through that policy. So, what happens if you are involved in an accident with an UM or UIM? In most cases, you would need to make a claim with your own insurance company and use your own uninsured driver coverage. Immediately after your accident, contact your insurance company and report the accident. If you believe that the other driver was not insured, you want to let them know that you will most likely need to file an uninsured claim. Since some insurance policies have strict deadlines on filing UM/UIM claims, don’t delay. During this time, it is important to speak to an experienced and skilled Colorado car accident lawyer. Your lawyer will help you avoid missing any critical deadlines and protect your rights to compensation during this time. In general, an UM/UIM claim must be filed within three years from the date of the accident. However, if payment is made for the underlying injury within three years, then the injured accident victim may be granted two more years to file a separate UM/UIM claim. These extra years give injured accident victims more time to fully understand the scope of their injuries and the uncompensated losses. However, if you do not file an underinsured claim before the three years have expired, you may lose out on the chance to ever file a claim. What happens when your UIM policy contains an exhaustion clause? An exhaustion clause will pay UIM coverage only after the limits of all liable parties have been exhausted. This means that your UIM benefits will only kick in after the UIM motorist’s benefits have been exhausted and you’ve received the maximum amount under the liable party’s coverage. A recent Colorado Court of Appeals case, Tubbs v. Famers Insurance, covers whether or not the insured was entitled to uninsured/underinsured motorists(UIM) coverage when his UIM policy contained an exhaustion clause. In the case, the insured, Mr. Tubbs, experienced $400,000 worth of damages in a car accident. He settled with the liable driver for $30,000, even though the driver had liability coverage up to $100,000. Mr. Tubb’s insurer, Farmers Insurance, refused to pay UIM benefits because he had settled with the driver for less than the liability coverage. Mr. Tubbs argued that the exhaustion clause violated C.R.S. § 10-4-609(1)(c). The court concluded that Farmers was required to cover Mr. Tubbs for the damages he sustained in excess of the $100,000 liability limits. The court stated that exhaustion clauses are void and unenforceable because coverage is mandated by statute. What does this mean? For Mr. Tubbs, he sustained damages up to $400,000. Since the liable party’s coverage was $100,000 – the courts determined that he was entitled to $300,000 in UIM benefits. Since he had already collected $30,000, he received $330,000 in total for his car accident. The exhaustion clause in this case provided that the insurance company, Farmers, will only pay the insured UIM benefits once the insured has received the maximum amount under the liable party’s coverage. This decision by the Colorado Court of Appeals helps clarify exhaustion clauses in auto policies in Colorado, and helps protect the injured when the liable party’s insurance coverage isn’t enough to cover the damages caused in the accident. As you now know, collecting UM/UIM benefits is not always easy. McDivitt Law Firm has the experience and the knowledge to tackle even the most complex UM/UIM car accident cases. Our Colorado car accident lawyers know how to help our clients obtain the benefits to which they are entitled – even if they are injured by an uninsured motorist. Call us toll-free at (877) 846-4878 or click here for a free consultation form. Who Pays Medical Bills While My Auto Accident Claim Proceeds?